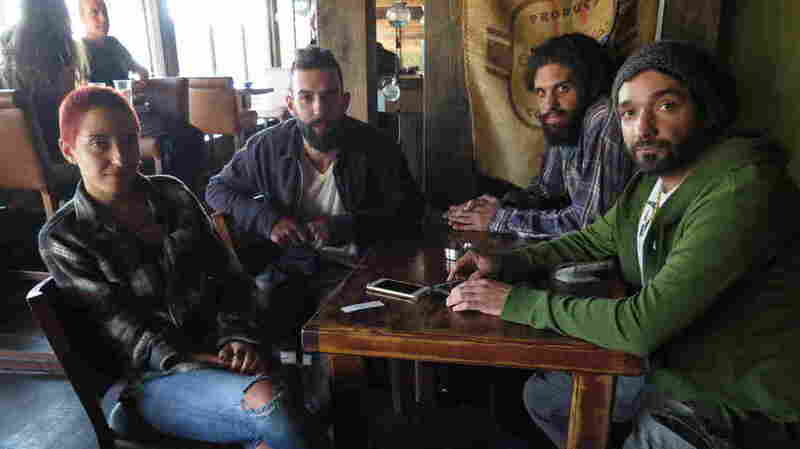 War Doesn't Stop The Music On The Syrian Border The Israeli-held Golan Heights, located right next to a civil war, has become an incubator for an experimental Arabic music scene. Members of the band Hawa Dafi at Why? cafe in Majdal Shams. Late one Thursday night, the hippest cafe-bar in the village of Majdal Shams pulses with strobe lights. The dance floor is packed. Beloved hometown band Hawa Dafi — Arabic for "warm breeze" — is playing a live concert. Early the next morning, another soundtrack rocks the village. "We actually woke up to the sound of bombings and fighting," says guitarist Busher Abu Saleh. He is groggy, nursing a coffee with some bandmates at the Why? cafe, where they performed the night before. "We were up late last night. They woke us up at six in the morning." The cafe-bar is a safe place for a coffee, but just a few minutes' drive away is the Israeli border fence with Syria. Many in Majdal Shams have relatives who live just beyond the fence in a Syrian regime-controlled village that's frequently under attack by rebel fighters. The village of Majdal Shams. The village's location on the geopolitical map has always been precarious, even a bit surreal. But it has also created the perfect conditions to incubate an unlikely experimental Arabic music scene. Village musicians— a few professional ensembles and some garage bands — set Arabic lyrics to a variety of styles, from jazz and blues to heavy metal and ska. For the young generation in Majdal Shams, music has provided an escape from a frustrating set of circumstances — not just the echoes of the Syrian civil war raging next door. Israel captured Majdal Shams from Syria in 1967. Hugging the slope of a tall mountain, the village is stuck in a corner alongside the borders of both Lebanon and Syria. Israel is in a state of war with those countries and today, villagers are prohibited from visiting. For years, villagers would gather at what's known as the Shouting Hill and, with a megaphone, they'd hold conversations with their relatives across the valley in Syria. The villagers are Arabs, mostly of the Druze religious minority. But many young people there, the musicians included, aren't really into religion. 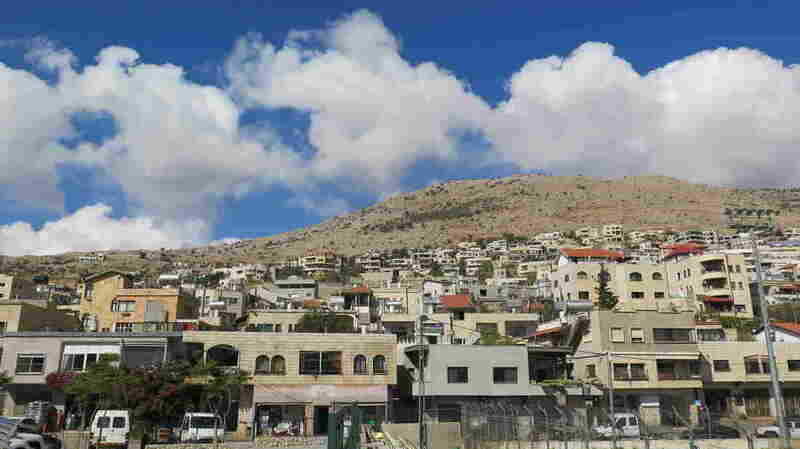 On paper, the people of Majdal Shams are not citizens of any country. They consider themselves Syrian, and most have refused Israeli residency papers. Their travel documents lists their nationality as "undefined." "This kind of speaks to me," Abu Saleh says. "I'd rather be a citizen of the world than of imaginary borders." 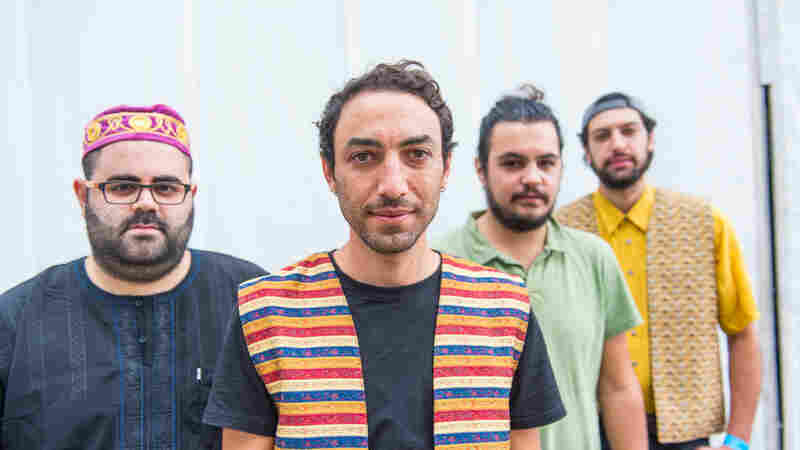 That undefined identity has inspired musicians from the village to look beyond their borders, to borrow from different music genres and to blend them into Arabic music that's, well, hard to define. Laissez Passer is the latest album by village band TootArd, Arabic for "strawberry." The band blends Tuareg music of North Africa with saxophone and oud, a traditional Middle Eastern stringed instrument. The album's title track opens with a reggae feel and lyrics like, "I do not exist on an ID card." Abu Saleh's band, Hawa Dafi, was formed in 2012, toward the start of the Syrian war. It borrows from gypsy music to riff on same theme — as in the song "Majhool," Arabic for "undefined," from its 2015 album Our Story. Hawa Dafi also rails against organized religion in its song "Enta Meen," and sings about the hopefulness of the beginning of the Arab Spring in "Shams Elhoreye," meaning "the sun of freedom." Abu Saleh says war doesn't stop their music. "My mother is from Lebanon and they had a 15-year-long civil war. And music was made back then, and people were getting married, and falling in love and out of love, and life went on," Abu Saleh explains. "Eventually it will be over." Down the road from where the guitarist sipped his coffee, residents rally and sing next to the border fence, in support of their Syrian families besieged on the other side. On the same street overlooking the border, villagers are celebrating a wedding. In this village, war is a part of life, and life is a part of war.